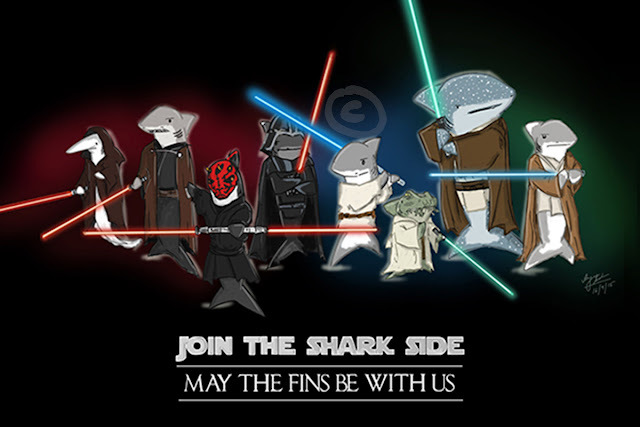 "Oh, Dakuwaqa!" 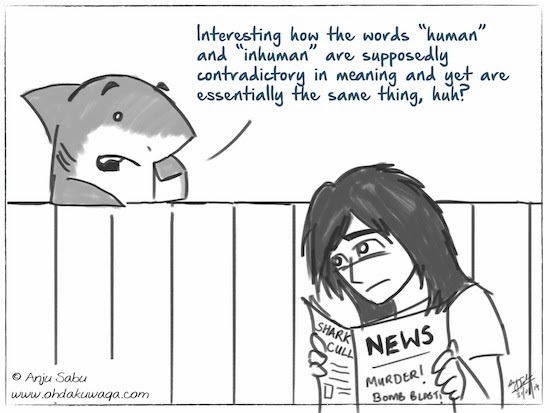 - The Shark comics and cartoons: How "human" is "inhuman"? It's interesting how "Invaluable" means to have incalculable value (usually is a positive thing) and "inhuman" means to not show human traits (not really a compliment). But just what makes a human being cross over from being "human" to "inhuman"? Sometimes it seems that being "inhuman" is more the norm for humans than otherwise. Many humans seem to have it "in" them to be cruel or heartless and the depth of depravity keeps increasing in its shock value. Perhaps one day it will end up being almost an "invaluable" kind of shocking. We can only pray for true change in the hearts of men and women.